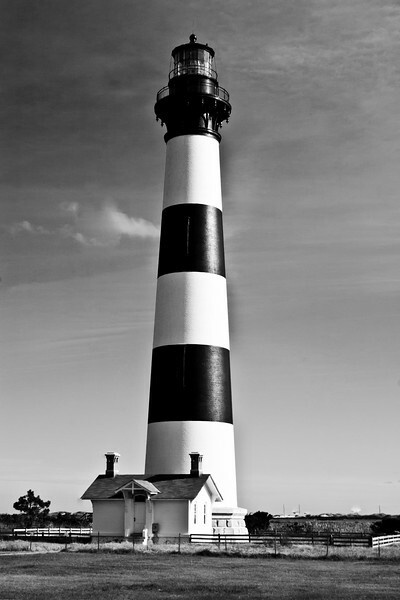 Bodie Island Lighthouse on the Outer Banks of North Carolina. The current lighthouse was built in 1871 and the 164-foot tower’s first-order Fresnel lens, fabricated by Barbier and Fenestre of Paris, was lit on October 1, 1872. The original lighthouse was built in 1847, but was of poor quality, and the second tower built in 1859 was destroyed in the Civil War. Bodie Island Lighthouse is still active and is now owned by the National Park Service.